Are you a crazy cat lady? It started out innocently enough. Your cozy one-bedroom apartment in the city was lacking in life, so you decided to adopt a cat from the local animal shelter. Felix added a great source of warm cuddles but soon started to look a little lonely, so you got him a companion. And then another. And then one more. Find out if you've crossed over the line. Many cat lovers enjoy talking to their cats, even if they fully realize that Felix and Garfield probably don't have the faintest of clues what they're saying. The lovey-dovey manner of speaking may be construed as cute and endearing. Crazy cat ladies have taken the high pitched cutesy voice to a whole other level, using a voice so high-pitched that only their cats can hear them. As it turns out, cats have an even keener sense of hearing than dogs, able to hear sounds of exceptionally high frequencies. Normal cat owners might keep a couple packets of kitty treats in the cupboard for extra special occasions. They can be a good way to train your cat to come when called. Crazy cat ladies keep a ready supply of cat treats everywhere they go, keeping it on their list of must-haves alongside the house keys and cellphone. The delicious little morsels get stuffed into the pockets of everything from scratched-up bathrobes to scratched-up raincoats. Eventually, the cats just dive right into those fleece-lined pockets on their own in search of the tuna-flavored crackers. That would explain why the stereotypical image of a crazy cat lady is one where the cats are literally crawling all over her. Some people might choose to pick up one or two tops with a quirky kitty-inspired design. It can be a conversation starter or just a way to have a little fun. The closet of a crazy cat lady is another matter altogether. 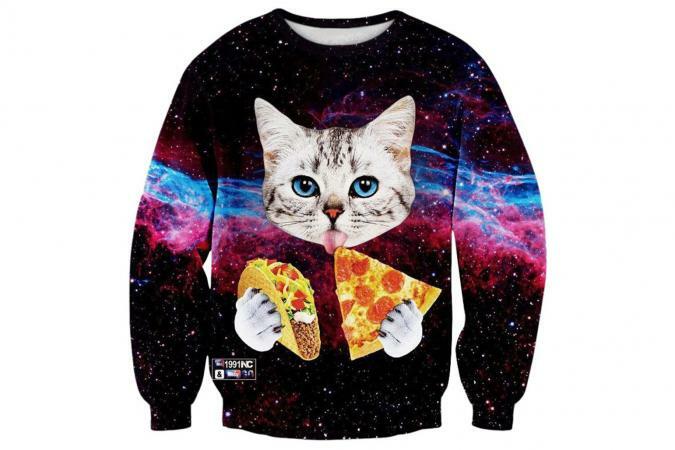 The most insane cat sweater designs permeate and dominate the space, bursting with feline affection at every seam. And black clothing in general is certainly out of the question (even if you own a black cat), unless you've decided that "adorned by irremovable cat hair" is your own personal style. Some cat fanciers may splurge on a particularly expensive cat bed for Fluffy, because they want their cute little roommate to be comfortable. Crazy cat ladies, on the other hand, have become slaves to their cat's sleeping positions. If the cat falls asleep on your lap, getting up is simply not an option. Late for work? Need to use the bathroom? Too bad. 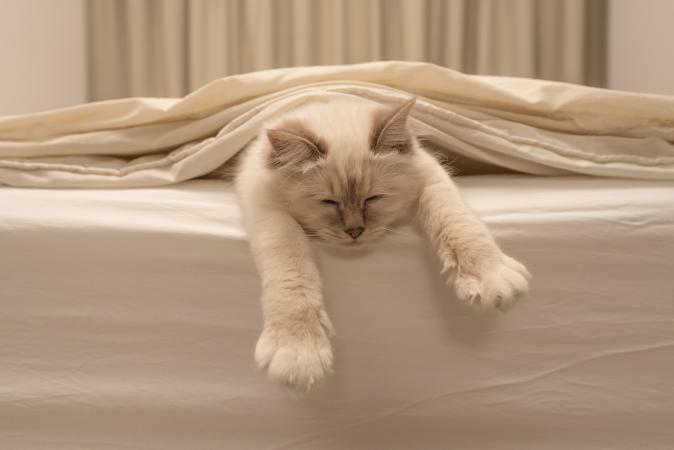 At night, you may soon discover that your cat has commandeered your bed for her own, sprawling out in the middle and rolling throughout the night, slowly but surely pushing you off the bed entirely. And when you own multiple cats, you can pretty much bid adieu to your own bed for good. Responsible pet owners ensure that the nutritional requirements of their furry roommates are suitably met with a healthy, balanced diet. 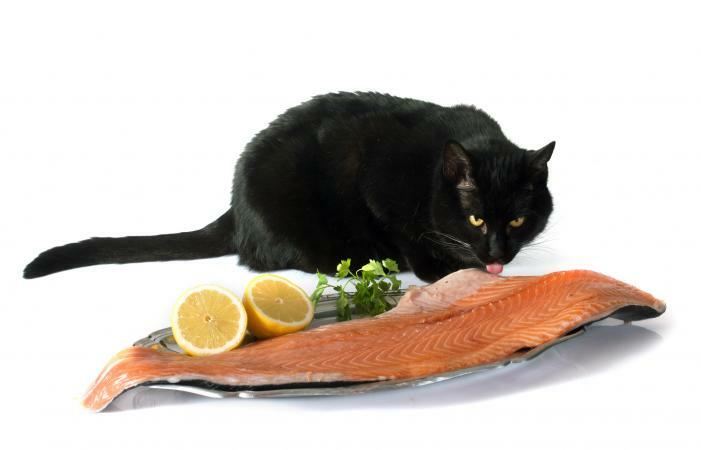 Crazy cat ladies provide wild, sustainably caught sockeye salmon in a citrus and caper au jus reduction with sprigs of thyme and rosemary. And that's only on Tuesdays. Wednesday's menu is altogether different and equally gourmet. Only the finest organic, hand-picked, fair trade catnip will do. Meanwhile, said crazy cat ladies subsist on uncooked instant noodle packages and powdered cheese-like product themselves. Speaking of what you eat, owning a cat (or seven) means that cat hair will inevitably end up all over your clothing and your furniture. With that fur shedding in every which direction all day long, it also ends up all over your supper. Normal people would be understandably turned off by this, striving to remove the hair before slicing into the pork roast. But not you. By now, you've grown accustomed to the taste of cat hair and you barely notice that your macaroni and cheese is looking more like a chinchilla than a savory meal for a rainy day. Your relationship with your cat(s) takes priority over your human relationships. Your social media feed is filled with nothing but shots of your kitty looking "soooo cute." You've figured out how to type on your computer with a cat casually resting across both wrists. This is your life now, because the threshold for being classified as a "crazy cat lady" is not contingent on the number of cats that you own, but rather on the severity of the feline-focused obsession.